April 9, 2015…The four owners at the Grand Opening. l to r…Jim, Bart, Mark, and Todd. Filbert Brown Ale is the first batch to be bottled. Filbert Brown Ale…One of Jim’s first big winners. Jim talks about it on the video. 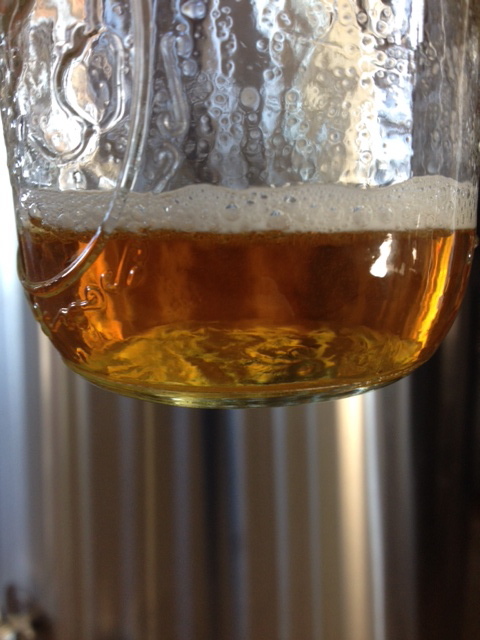 Crankshaft, IPA…dry hops with Citra and El Dorado and balanced with rye malt. Owners and crew celebrate their first pallet of bottled beer. At about 12 minutes into the video, you can see that Sam Bond’s Brewing played a role by providing a gathering place for the kids fighting climate change. After working on this project for about a year and a half, scouting out equipment that could be bought cheaply, getting the permits and inspections satisfied…everything has come down to this day…the first batch of beer. Half empty or half full? It doesn’t matter…it looks good and tastes good. Jim, my son-in-law was hired to consult on a small brewery in a nearby town. I was never the chemistry type, but I was curious what kind of equipment was needed to brew beer. He gave us a tour of the plant. Since funding was an issue, some of the equipment was used. The grain mill was one of those. It didn’t have a drive motor. Jim was wondering how to get a motor. Puzzling over the problem he happened to notice the old crane that was still there from the time when the building housed a foundry. He thought he saw an electric motor that might work. 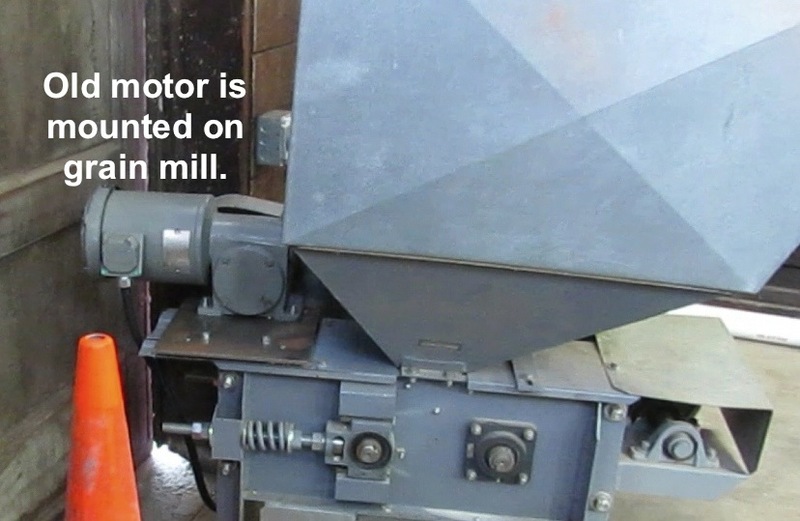 He called Brian, his brother-in-law who helped him remove the motor and get it cleaned up for mounting on the mill. Crane that was used when the building housed a foundry. Old motor gets a new purpose in life. Sampling the ale that as yet must be named. 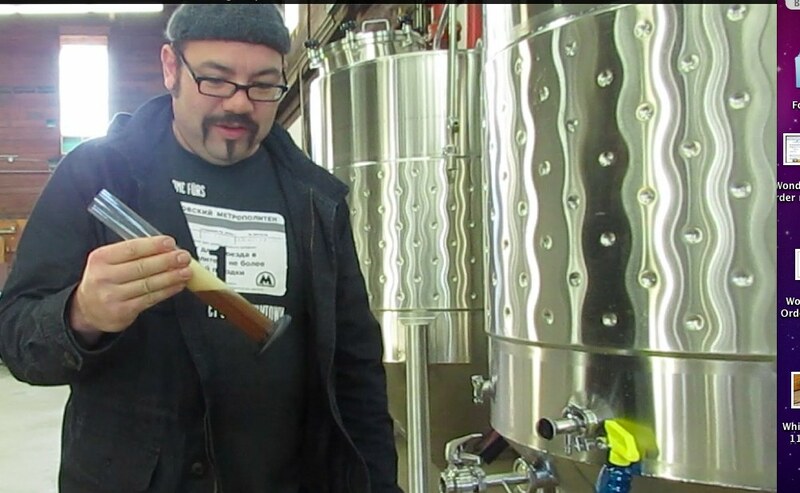 How did the first batch of beer turn out? A resounding success. 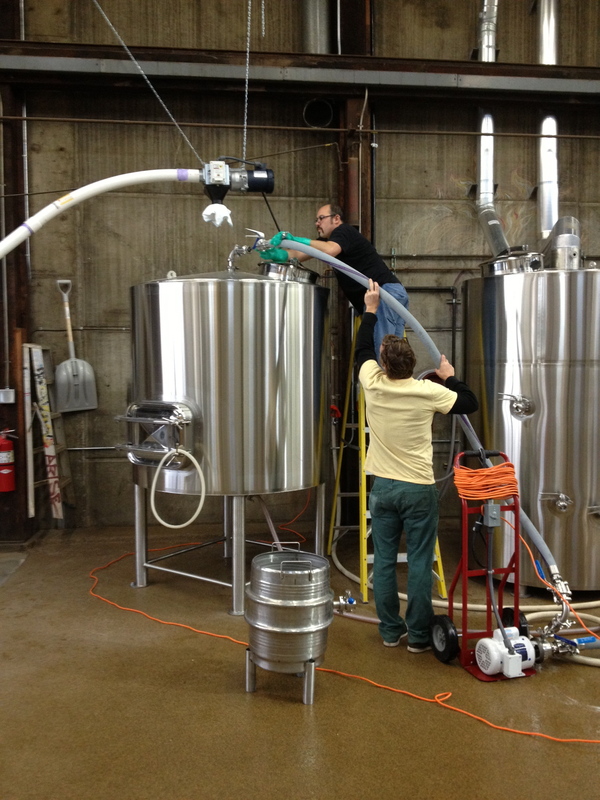 It was kegged and delivered to enthusiastic customers. Jim shows us the brewery.